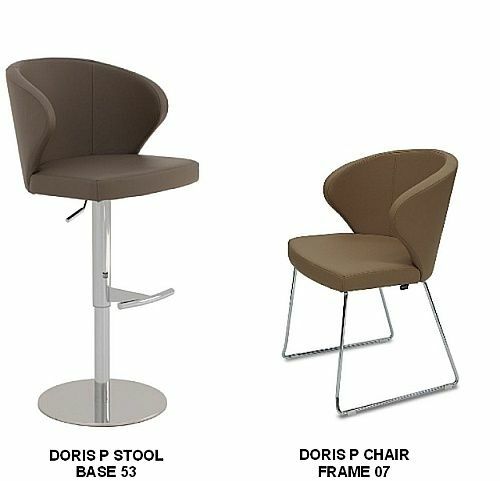 We offer Matching Doris P Bar Stools and Doris P Chairs. 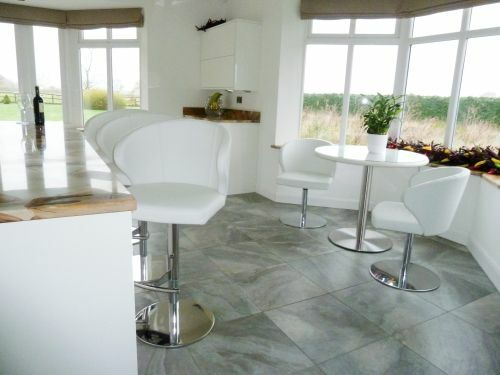 1) We do not recommend Doris P Bar Stools for a Breakfast bar if you are planning to have a full scale meal with a knife and fork, because the arms on the Doris P Bar Stool mean that it must be a short distance away from the worktop to allow it to turn. The Doris S Bar Stools are the correct ones for a Breakfast Bar. However the Doris P Bar Stool is fabulous for use at a drinks bar, or if you only want light snacks like sandwiches and coffee, because then you can sit slightly further back from the worktop. 2) You can Mix and Match Doris P and Doris S Chairs if you want. They are the same size and style, so they match each other perfectly. 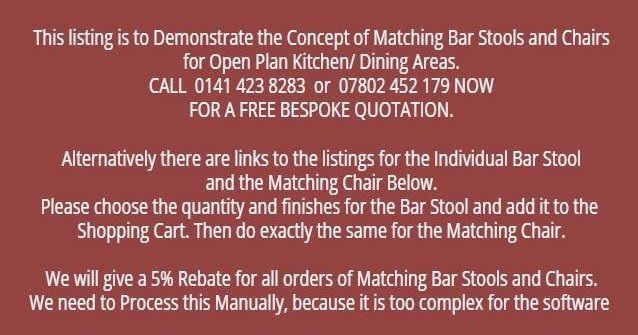 You can choose 6 Different Designs of Bases for the Bar Stools and 11 Different Styles of Frames/ bases for the Chairs, as well as 20 colours of Real Leather and 30 Colours of Eco Leather. So you can create a combination of matching Bar Stools and Chairs which are Unique to you.